Dorje carvbed black color base bone pendent. Since the product is handmade, there can be slight variation in the given measurement. 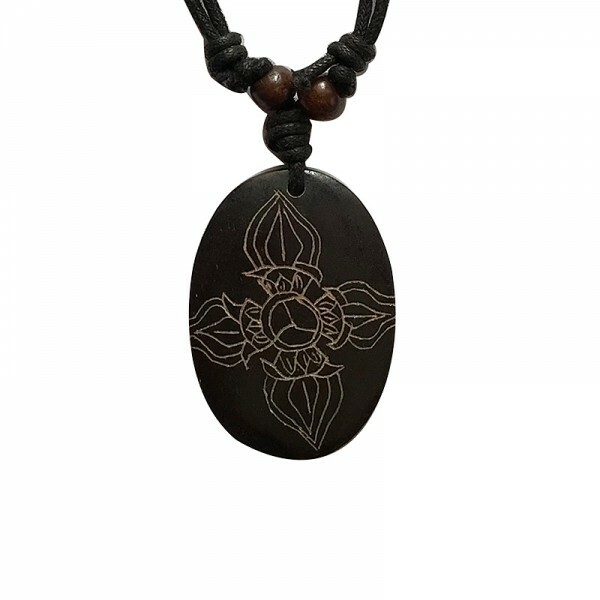 Dorje carved black color base bone pendent. Since the product is handmade, there can be slight variation in the given measurement.